Huge thanks to Country Chic Paint, for providing the fabulous paint and wax for this project. My little former-rocker thanks you, too! Last month, I was asked by the editor of Stimuli Magazine, Maryanne, if I would like to participate in a local charity event. 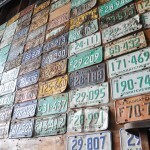 The Passionate Home, a decor store that specializes in all-things-painted-and-farmhouse-chic, coordinates an annual auction of donated (and refinished) furniture, with all of the proceeds benefiting the local Christmas Bureau. 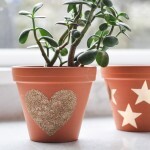 It sounded like a great cause, and I love transforming things with a bit of paint. How could I turn this opportunity down? The hardest part for me was finding the chair. For some reason, the curbs and alleys weren’t laden with neglected seats like they normally were. Where have all the good chairs gone? Usually I couldn’t turn around without a chair being chucked onto the curb. Or sometimes a chair and his three brothers. It was frustrating. And I started to panic. I didn’t have anything in my garage (though I did have everything else under the sun, as our garage is a complete horror show these days), and so I turned to Craigslist. Oh, Craig. Your list is so helpful. And addicting. Finally, after a few fruitless conversations with sellers, I stumbled upon this beauty. 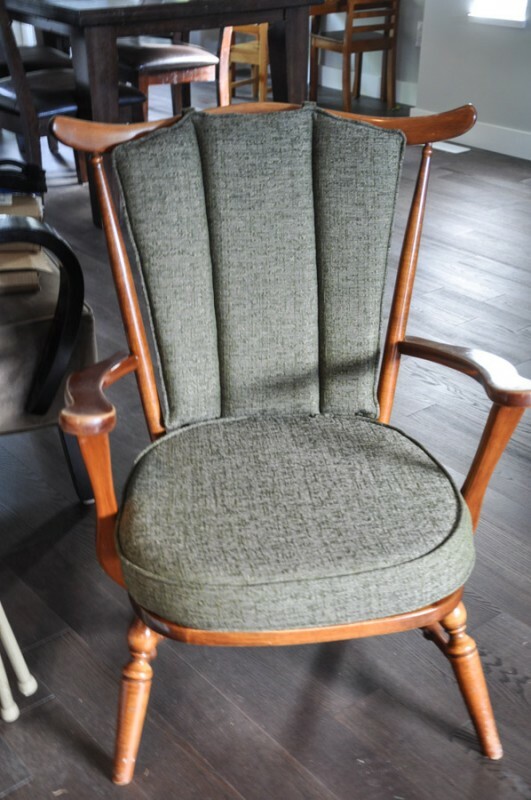 He was a maple chair that had been living with a family for decades. But he was short. Unlike me, the Amazoness with awkwardly long limbs, this chair had stumpy little legs. I immediately thought he would make a lovely chair for a kids’ room and brought him home. It wasn’t until I really sized him up that I realized his past. He was a former rocking chair that had his rockers cut off. Oh. Now that is interesting. Nevertheless, I got to painting. This garage is so embarrassing. Ugh. 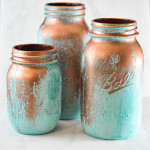 Country Chic Paint, a Canadian chalk paint company, provided me with the paint and wax for this project. I slapped on three coats of Vanilla Frosting paint on top of the scratched varnish. I gave the chair a little once-over with a sanding block before I painted, but I don’t think that any prep was necessary, to be honest. The beauty of this paint is that unless you’re dealing with a super high-gloss finish, you don’t need to prep your furniture at all. After I had painted the third coat, I only waited about two hours before I got to distressing. I wanted this finish to be a bit chippy, so I didn’t want the paint to completely cure. 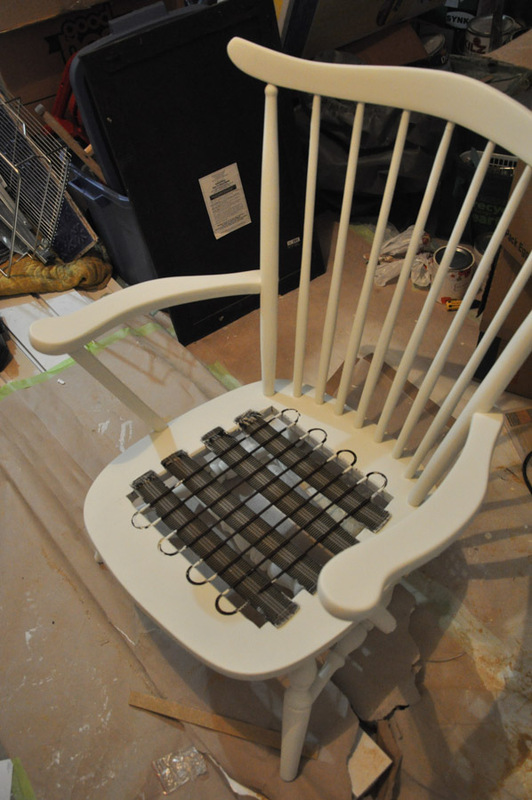 I used both a sanding block and 120 grit paper to distress the chair. I tried to imagine where a true farmhouse chair would get wear. I ran my hands over the legs and the arms of the chair (that sounds slightly disturbing, doesn’t it? 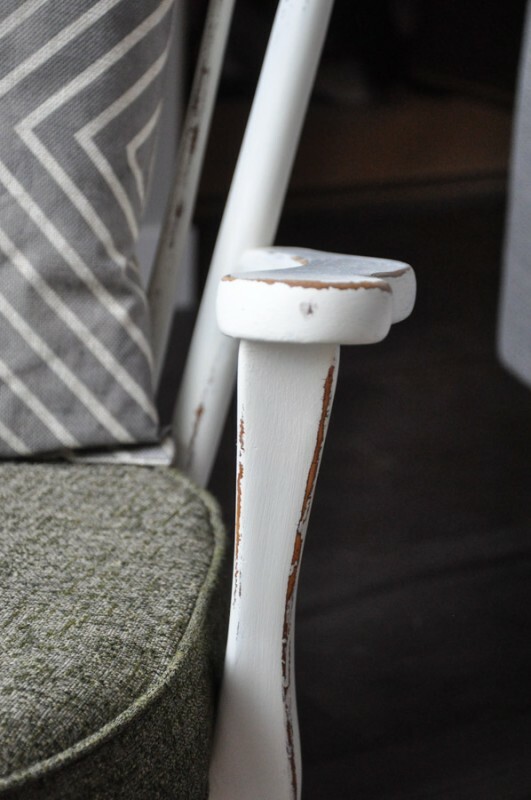 Weird how we’ve anthropomorphized chairs that way, with their shapely arms and legs) to get an idea of where the paint would wear off. After I was pleased with my paint-removal, I waxed the chair with Country Chic Natural Wax. It’s amazing how lovely the finish of the chair is with just wax. Cut to me running my hands over the chair arms again. I have a problem. The chair came with cushions that were in fairly good shape. I decided to keep the seat cushion, but to get rid of the back one. A stylish throw pillow would do the trick. 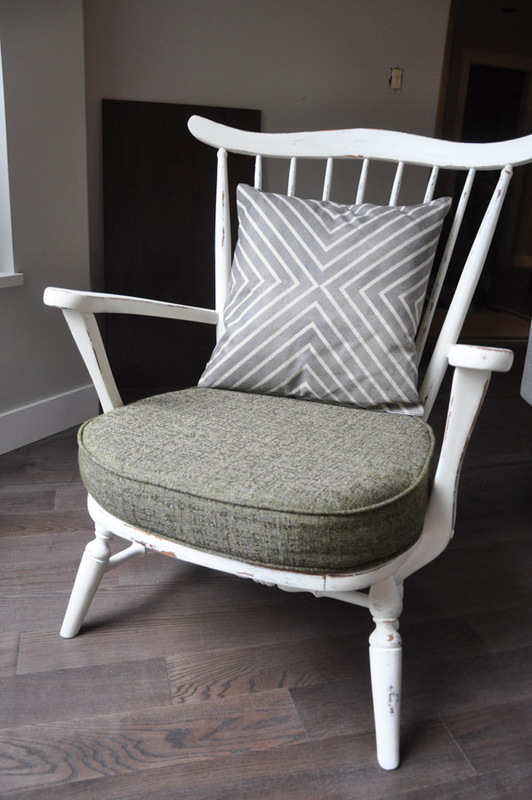 This sweet little chair was ready to be delivered to his new (temporary) home. Tonight, he will be up for auction, along with various other chairs, dressers, and tables that have been created by local furniture-peeps. If you want to get your hands on these chair arms… you know where to get them. 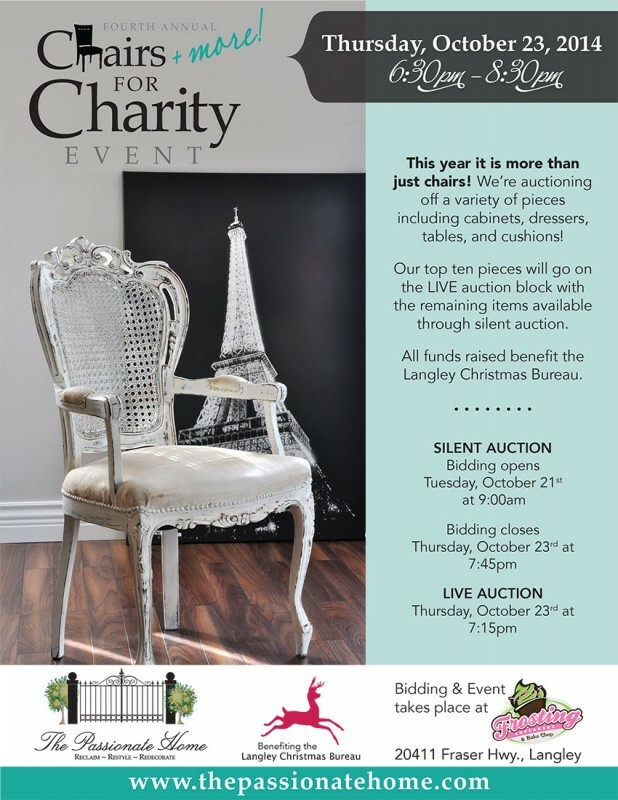 One of my dear bloggy friends, Jamie from So Much Better With Age, also donated a chair to the Chairs for Charity event. 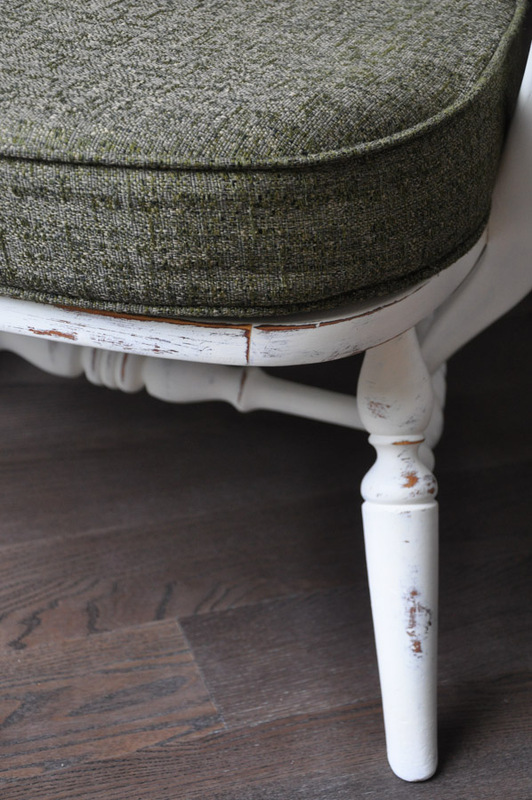 Her chair – a French take on a typical kitchen chair – is fantastic! 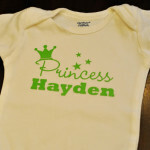 Visit her space to see what she did with a lick of paint and a drop cloth! This is a beautiful transformation Tara! 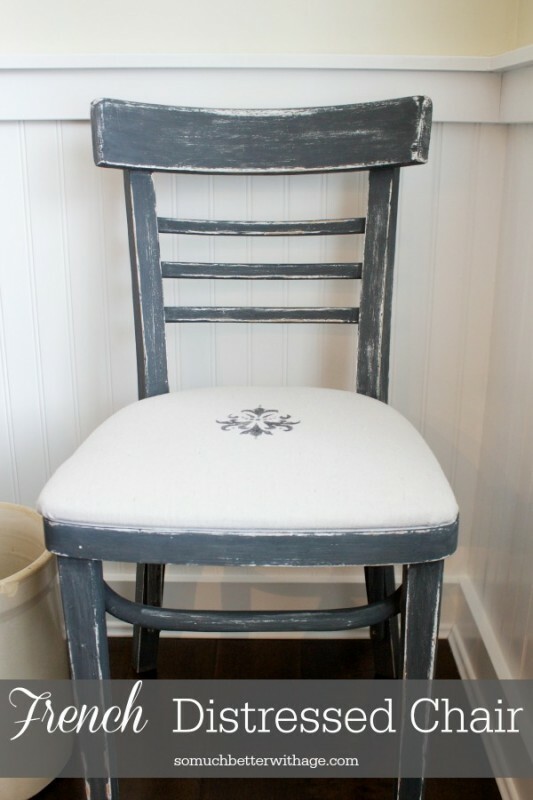 I am in love with distressed white paint, so this chair is perfect! 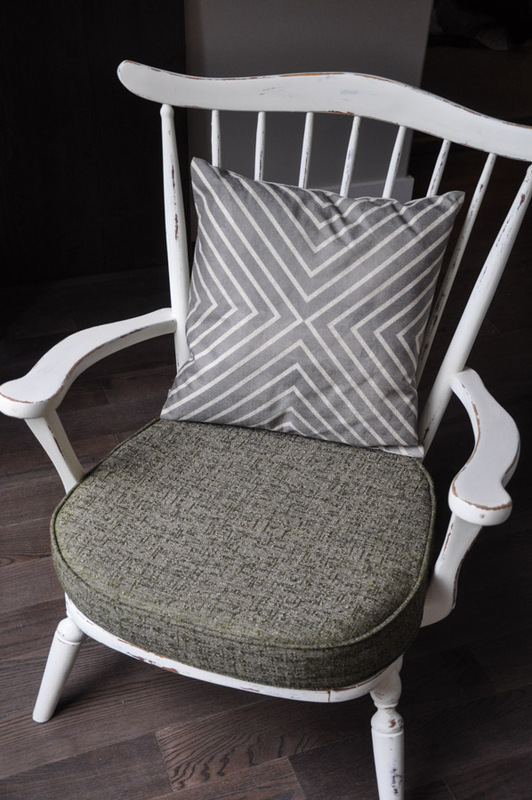 And I love the cushion it came with too – looks great! Tara, your chair turned out beautifully. I wish I was closer so I could attend this event….what a great way to support a great cause! Love the way your chair turned out! What a great charity! This is awesome. I love the distressing, yet it is so modernized with your cushions. Great project- and awesome cause! !